The horror extravaganza kicks off on Thursday 24th August in London’s Leicester Square, bringing the best scares from around the world to a cinema full of fans. For those who can’t make it, though, VOD has become a vital way to see the latest genre releases anywhere in the UK – and AMC’s subscription service, which arrived on our shores last year, has wasted no time in becoming a home for many of them. Previous FrightFest hitters such as Sun Choke have already been released on the platform, and now, Shudder is adding to that line-up with six acquisitions before the festival has even started: Joe Lynch’s Mayhem, Chris Peckover’s follow-up thriller Better Watch Out, German Thriller Cold Hell from Oscar-winning director Stefan Ruzowitzky, Sequence Break from actor-turned-director Graham Skipper, Colin Minihan’s It Stains the Sands Red and Still/Born, the debut from director Brandon Christensen. All six films will have their UK Premieres at the Horror Channel FrightFest and will be available to stream on Shudder in early 2018. The explosive story of a dangerous virus, that prevents the infected from controlling their inhibitions, and is discovered in a corporate law building, the very same firm that recently cleared an infected man on murder charges. When a quarantine is issued and the building goes on lockdown, all hell breaks loose inside, while a disgruntled employee (Steven Yeun of The Walking Dead) and an irate client (Samara Weaving) must fight and even kill their way to the top to “have a word” with the corrupt executives who wronged them before time runs out. Cannes Film Festival in May. The wicked Christmastime thriller from strong new genre directorial voice Chris Peckover. Playing like HOME ALONE gone terribly wrong and with great performances from its young cast, the film offers a slick and twisted new spin on home-invasion horror, as a babysitter races against time to defend a 12-year-old boy from intruders. Shudder has taken streaming rights in North America. 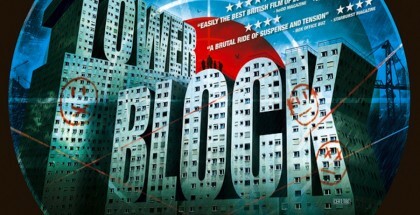 The new film from Oscar-winning Austrian director Stefan Ruzowitzky. 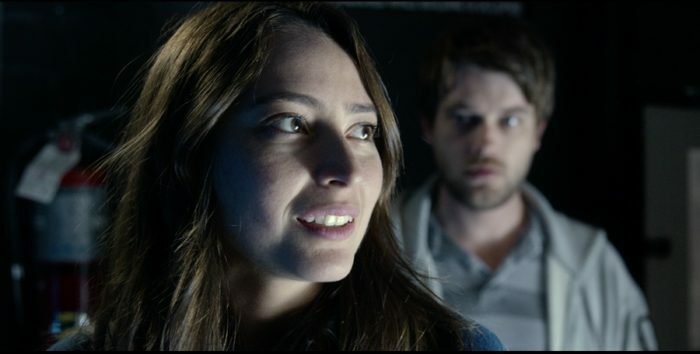 A young woman of Turkish origin living in Vienna feels increasingly lonely after she witnesses a murder and finds herself next on the killer’s agenda in this smart and gritty thriller from the director of The Counterfeiters. Shudder has taken all rights in North America and United Kingdom, Ireland. A surreal sci-fi romance written and directed by Graham Skipper, star of Almost Human and Beyond the Gates. Chase Williamson plays Oz, an antisocial loner who only finds solace in his love for ’80s arcade games. When he meets Tess, played by Fabianne Theresa, the two quickly become romantically entwined, but their romance is threatened by a mysterious game that draws the two deeper and deeper into its void of slime and Cronenbergian horror. Oz soon finds himself facing off against the eight-bit portal to the cosmos, to both save himself and his newfound love. Shudder has taken all rights in North America and United Kingdom, Ireland. The debut feature of Canadian director Brandon Christianson, co-written and produced by Colin Minihan of It Stains the Sands Red. In this spine tingling supernatural horror, a young mother spirals into madness after losing one of her twins in childbirth. With a nod to Roman Polanski and the J-Horror sub-genre, she comes to believe her other child is in danger from an evil spirit and will stop at nothing to protect it. Shudder has taken streaming rights in North America and all rights in United Kingdom, Ireland. trying to give it the ingenious slip, the relentless ghoul soon becomes Molly’s only physical contact in a stark and dark world gone mad. Shudder has taken all rights in United Kingdom, Ireland. 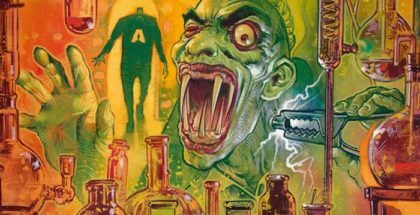 For more on FrightFest 2017, including our top picks of the festival and information on DVD, VOD and cinema release dates, click here.